Rwanda coffee exporters could soon earn more visibility across the world, thanks to the marketing partnership the country has made with China-based global leading e-commerce platform, Alibaba. 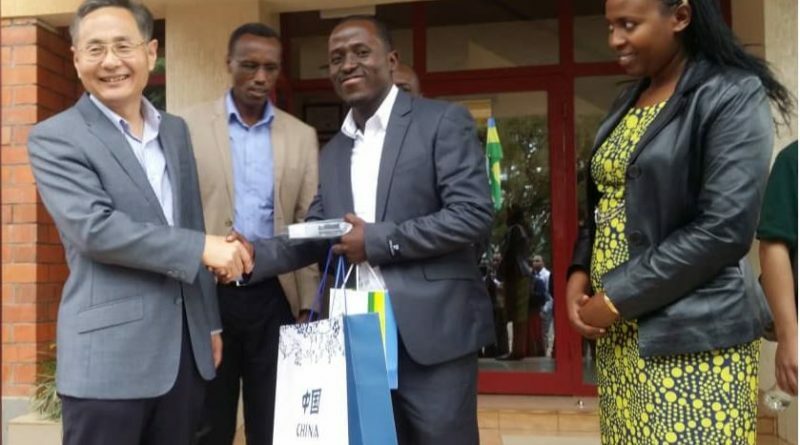 The Alibaba Group partnership with Rwanda was launched recently in Kigali as part of a larger initiative known as the first Electronic World Trade Platform (eWTP) in Africa. 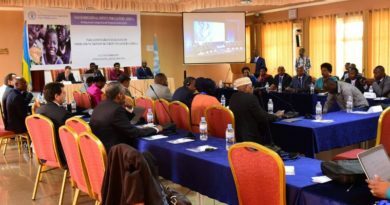 The deal has motivated Rwandan coffee exporters who have already experienced the way Chinese market likes Rwanda’s coffee for its top quality since they started shipping it to Alibaba stores over one month ago. Speaking during an extra-ordinary visit at Rwanda Farmers’ coffee company that produces a Coffee product dubbed ‘Gorilla Coffee’ on Saturday, November 24, 2018, China’s Ambassador to Rwanda, Rao Hongwei pledged that he will continue to encourage more Chinese people and investors to come in Rwanda in line with marketing Rwanda Coffee product. 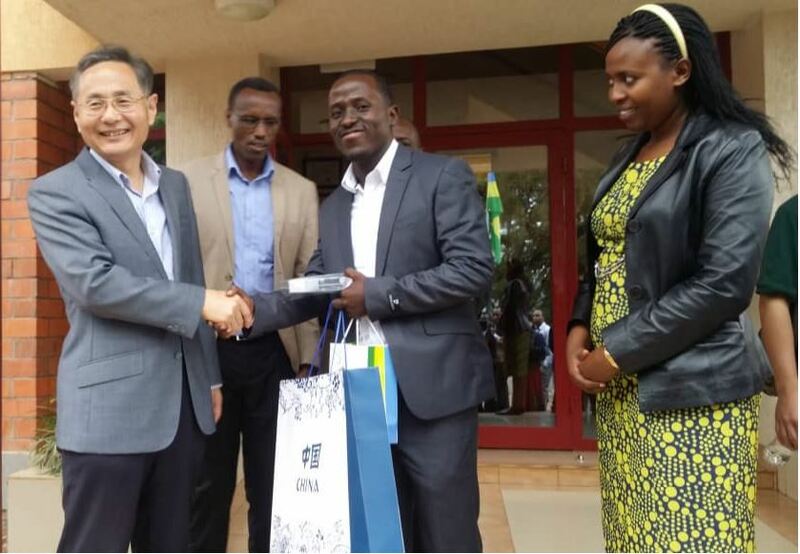 “For my side, I will do my best to provide more opportunities to encourage more Chinese investors to come here, to enjoy Rwanda coffee and Rwanda tea,” Hongwei said. 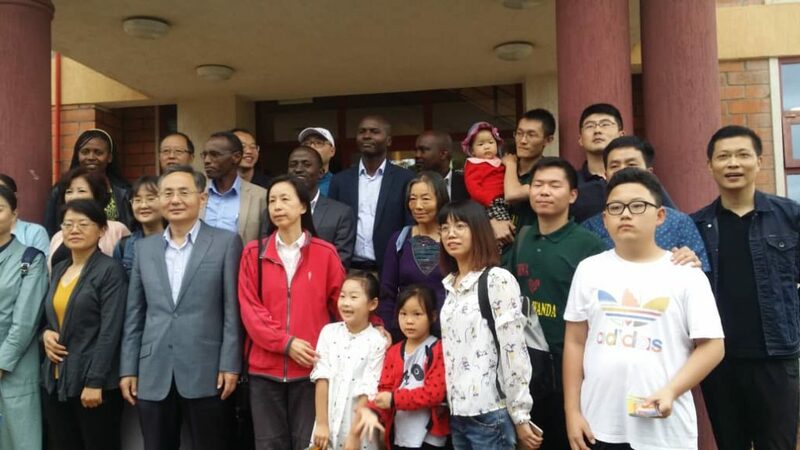 China’s Ambassador to Rwanda, Rao Hongwei with Chinese delegation posing for a group photo after their visit to Rwanda Farmers Coffee Company. Specifically, the Ambassador said Rwanda’s coffee market is going to get a significant extension in china. Hongwei said that the bilateral relationship between Rwanda and China which is at the best stage currently will continue to benefit two states as top priority. 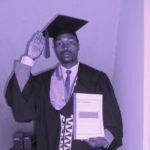 He added that the future has more fruitful outcomes to both nations. “I think in near future the top priority for our Chinese embassy is to transform the consensus of our two heads of states, to increase outcomes and benefits of our two great people,” Hongwei noted. 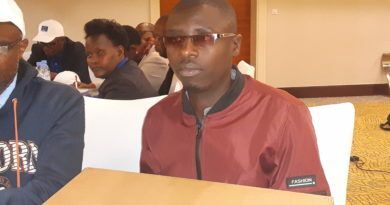 As part of the Alibaba deal, Benjamin Nkurunziza, Sales and Marketing Manager of Rwanda Farmers Coffee Company said that recently they exported 1600 packets of coffee, of which 1000 contained 250 grams and 600 with 500 grams each, making the total weight of 550 kilogrammes. Next week, this company which was selected among the best ones to export their products though Alibaba e-commerce will also export 400 packets of 500 grams each and it is up on demand. Sandrine Urujeni, the NAEB Deputy Chief Executive Officer said that the visit of China’s Ambassador to Rwanda with his delegation was to eyewitness the quality of Rwanda’s Coffee from the production site and help the country to continue doing a campaign to market Rwanda’s Coffee at Chinese market. 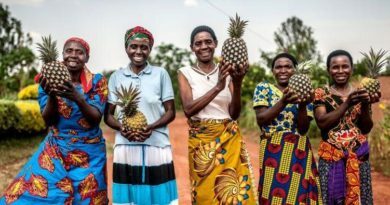 “We appreciate this and we are increasing efforts after we finished the first phase of trial where we have had three companies working with Alibaba and we are planning for the second phase to add-in more coffee production companies as we have many roasters in the country,” Urujeni said. Rwanda’s Coffee sub-sector employs around 400,000 farmers currently. It captured about $58.5 million from coffee export in 2016-17. At the end of 2018, the country expects to export 24,500 tons of coffee, from the 23,000 tons of last year. First (left-right, China’s Ambassador to Rwanda, Rao Hongwei shaking hands with Benjamin Nkurunziza, Sales and Marketing Manager of Rwanda Farmers Coffee Company while Sandrine Urujeni, the NAEB Deputy Chief Executive Officer and Celestin Gatarayiha, NAEB Coffee Division Manager look on. (Courtesy Photo).